This book is the result of a research project entitled Reference function for Global Air Pollution/C0 initiated by RIVM. 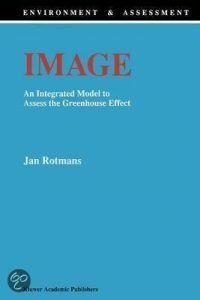 It deals with the description 2 of a computer simulation model of the greenhouse effect. This model, IMAGE, tries to capture the fundamentals of the complex problem of climate change in a simplified way. The model is a multidisciplinary product and is based on knowledge from disciplines as economics, atmospheric chemistry, marine and terrestrial biogeochemistry, ecology, climatology, and glaciology. This book might be of interest for anyone working in the broad field of climate change. Furthermore, it can be useful for model builders, simulation experts, mathematicians etc. pers /interviewverzoeken worden door Jan's Personal Assistant, Shifra Azimullah, aangenomen.